The U.S. Mint has issued the following press release regarding its appearance with the Bureau of Engraving and Printing at the upcoming Florida United Numismatists Convention, scheduled to begin on January 7. 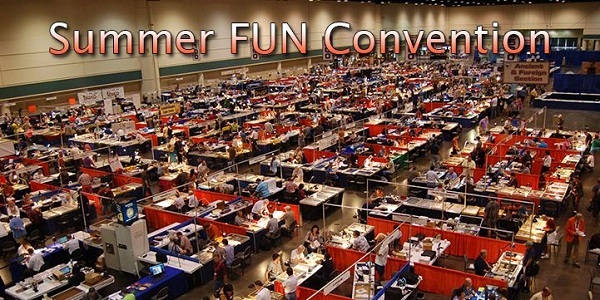 WASHINGTON, D.C. – The United States Mint (Mint) and the Bureau of Engraving and Printing (BEP) will share booth #1801 at the Florida United Numismatists (FUN) Convention January 7 – 10, 2016, at the Tampa Convention Center in Tampa, FL. As the Nation’s producers of currency and coins, the BEP and the Mint have made history by connecting Americans through these collectible and functional products. At this annual event, the bureaus will highlight their distinguished histories, product excellence, and dedicated employees. The BEP is showcasing its Billion Dollar Exhibit, which features more than $1 billion worth of rare antique currency, including sheets of $100,000 currency notes, Treasury Bonds, and Gold and Silver Certificates. Additional items on display include currency face plates representing the Federal Reserve Bank of Atlanta, a series 1934-B, 12-subject $10,000 plate, a series 1934, 12-subject $5,000 plate, and mutilated currency. The BEP will also display its antique 19th century Spider Press. A currency production specialist will conduct demonstrations and answer questions. “Independence Collection – Life” – This card is the first print in the 2016 Intaglio Print Subscription Program which features three cards: Life, Liberty, and the Pursuit of Happiness. This series is dedicated to the Declaration of Independence and features an exquisite compilation of unique, engraved vignettes focusing on the age-old art of intaglio printing. The BEP is also showcasing and offering other unique, currency-related products, including uncut currency sheets ranging in the number of subjects and denomination. For additional information about BEP or to purchase products, please visit moneyfactorystore.gov. BEP products may also be ordered by telephone (1-800-456-3408), by fax (1-888-891-7585), or by mail (Bureau of Engraving and Printing, Mail Order Sales Department, 515M, 14th and C Streets SW, Washington, DC 20228). These and other products are also available for purchase at http://www.usmint.gov/catalog. or by calling 1-800-USA-MINT (872-6468). Hearing- and speech-impaired customers with TTY equipment may order by calling 1-888-321-MINT (6468). For additional information, please visit http://www.usmint.gov.